Aaannnndd here we go. 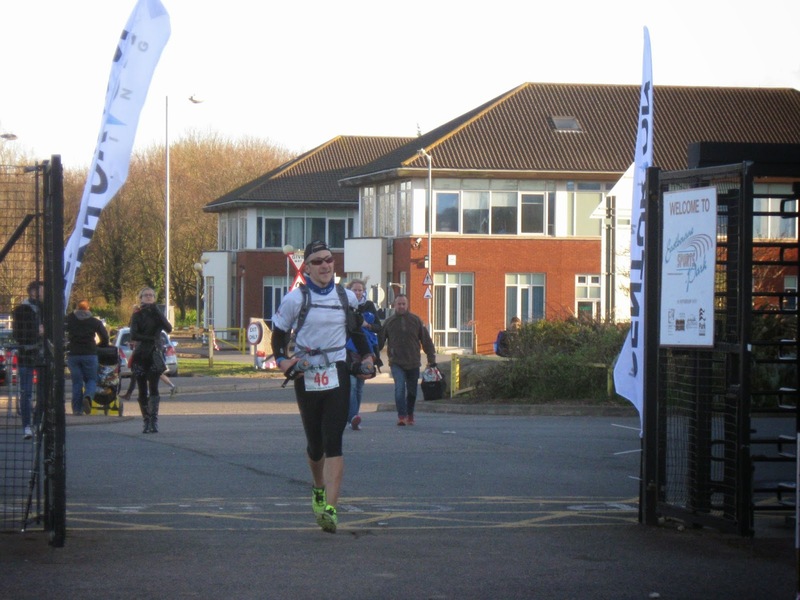 Finally I could find a couple of hours to try to say and write something about my experience at the SDW50. Yeah, that was really an "experience", with a lot of moments and emotions into it, I´d like to say almost "revealing" about something. But you know, I just don´t want to trash this blog with things like "it was awesome", "now that was a day" and something like that. So, short version for you runners outthere: I ran it, I finished it and I collected a really beautiful medal. First of all, I must say, that it was probably my most anticipated race ever. I registered in July 2014, and did a 6 months "training plan" to be enough prepared for it, or trying to. Man, I admit, I could´t wait running it, I was in fact pretty antsy about it, but in a positive sense by the way. I could already come to England on Monday before the race, just to enjoy a little holiday with my wife, and to begin to breathe the atmosphere of SDW, the magic of it, and..why not, to taste a bit of the amazing english kitchen! 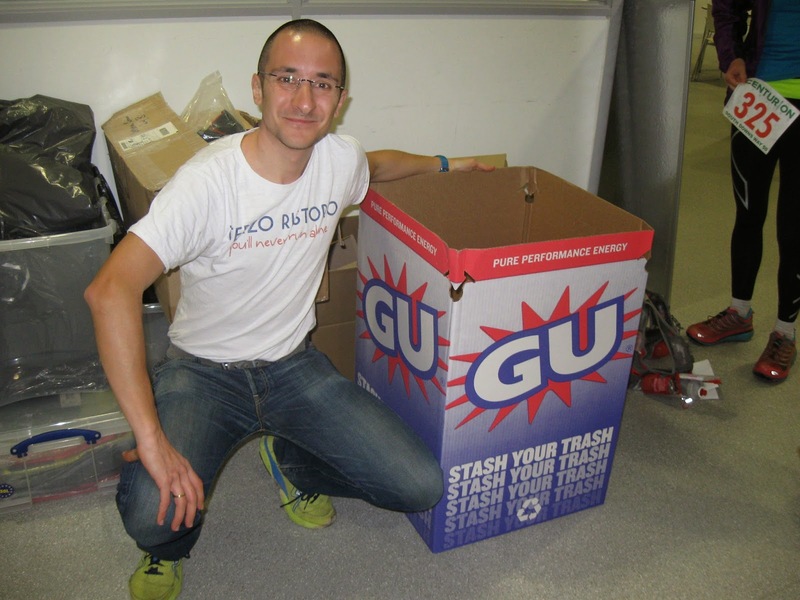 But most of all, to optimize rest and tapering before the race. So on Saturday morning I felt good, motivated and ready to go. Just the time to buy James Adams´book (did you know that he has a book out) "Running stuff" (it will be very useful to re-balance the table in my kitchen :)) and we were already going to the start line. Plenty of runners and crews, me and Ari just waiting for the start. I decided to be in the back of the pack, essentially because I just wanna be by myself at the beginning of the race, avoiding to run too fast or at a pace which I didn´t train (you know, adrenaline and just happiness could be very "dangerous" at the beginning of such a long journey). 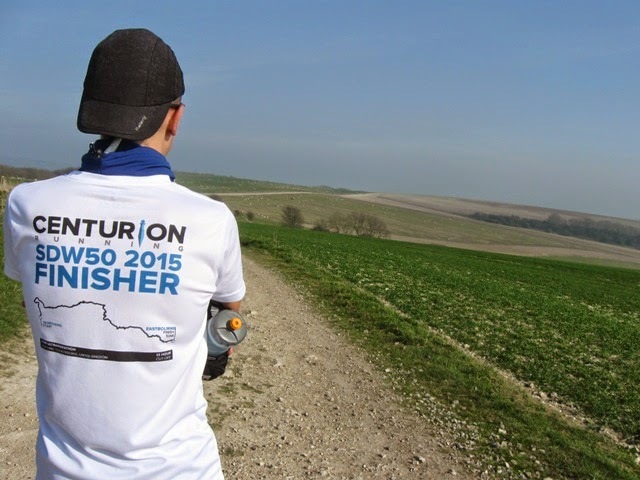 Yeah, as usual but more than ever, "enjoy the journey" will be my mantra during SDW50. 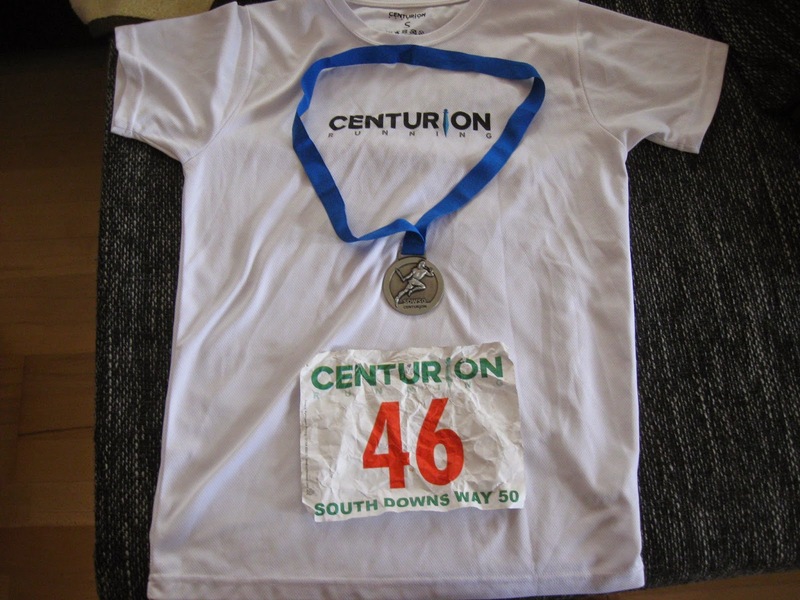 No time goals, no idea about where there are uphills or flats or aid stations...just, wait and see, trying to stick to my nutrition and hydration plan (eating gels, shots and wafers every 30 minutes, and drinking constantly), setting a comfort pace and enjoy the amazing views around South Downs National Park. And of course, have a great run with great friends! 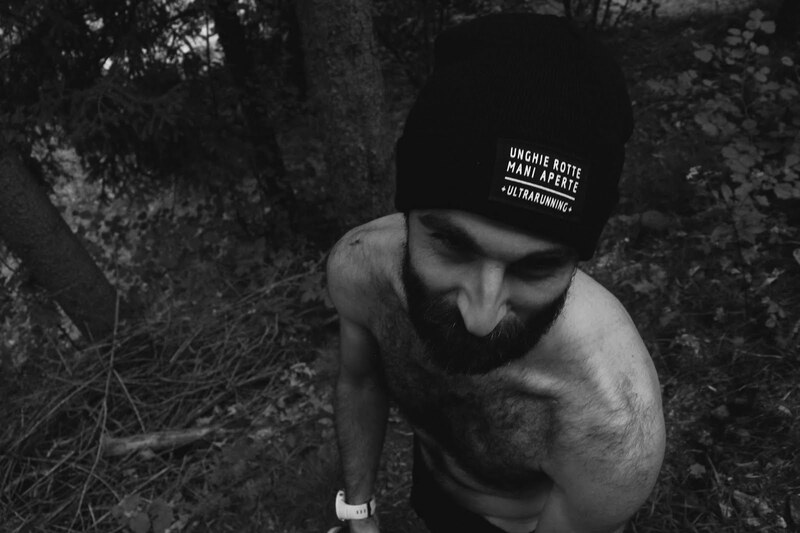 Ehi, I must say, I´ve met a lot of runners on the course, and I´m sure I´ll forget many names: but for sure, I won´t forget the stories we shared and the "intangibles" we experienced. So, Pam, Barry, Joe and the others...THANK YOU very much for this day, it was a pleasure and a honour to share a couple of miles with you guys! The weather: again, simply perfect. At the beginning we could enjoy a typical chilly english morning, with a bit of wind and rain. But it was ideal for running. And for the last miles of the day, a big surprise: sunshine! What a moment. I remember that: 10 miles to go (less than a half marathon...on paved roads, but a lot more on a trail) and for the first time I could really feel that I was going to get it. It was very special, I could clearly go with the mind to the moments I lived here with my father many years ago, and I was pretty emotioned to think that I was running also in memory of him. I could feel him on my shoulder all day, and that was surely crucial to let me reach the finish line. At the trigger, starting to run the last downhill of the day, I could finally understand that I was going to realize a dream. Man, running a 50 miler, on an amazing course. I´ve really dreamed a lot about that, and simply couldn´t wait to reach that track in Eastbourne, get the medal and most of all, a huge hug from my wife! After 9h and 35 minutes, I could finally stop and get overwhelmed by the emotions. I´ve met again Nici and James, and again hugs and congrats from them. And most important, I just tried to say thank you for the amazing work they did all day: you know, the volounteers, the aid stations...: all was awesome, really well organized and I will never forget your courtesy and kindness guys! Just the time to take the shuttle bus, and in few hours we were again in our cottage, ready to sleep like hell (or try to do it: admit, adrenaline and endorphins are bad friends when you just want to sleep, but...whatever..). The days after the race I could recover pretty well, and on Thursday, just before the return to Germany, I could enjoy a great recovery run with Ari again on the SDW, with a couple of miles around Chanctonbury Ring. I just wanted to say "goodbye" to this wonderful trail. Because I know, that I´ll run here again. 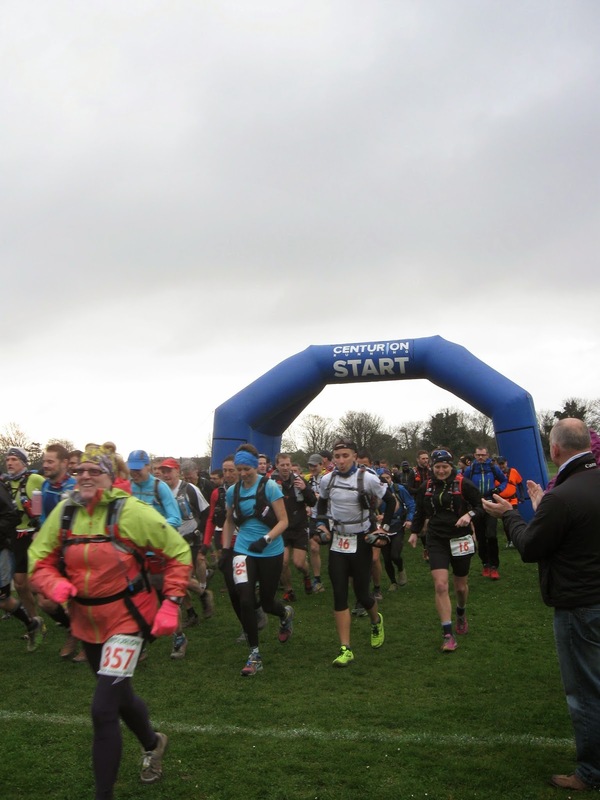 And now, can´t wait to come back in May to try running NDW50. Again Centurion guys, again a bunch of friends. See you in Farnham!